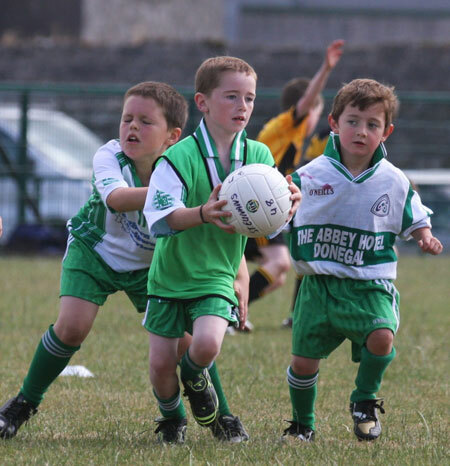 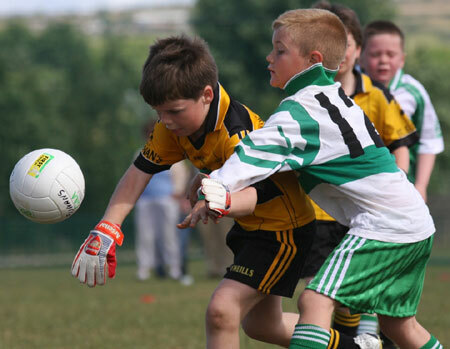 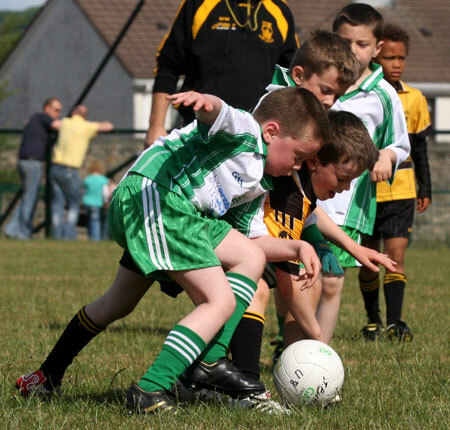 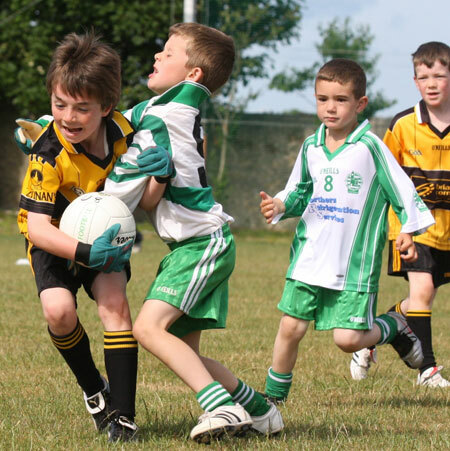 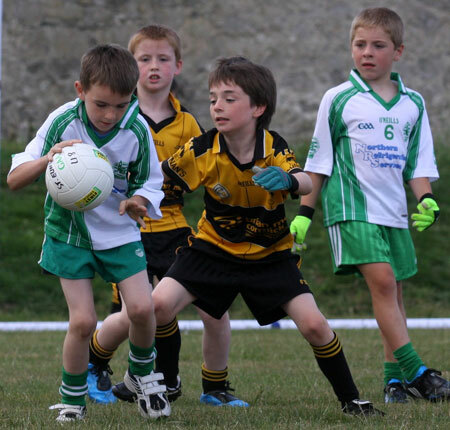 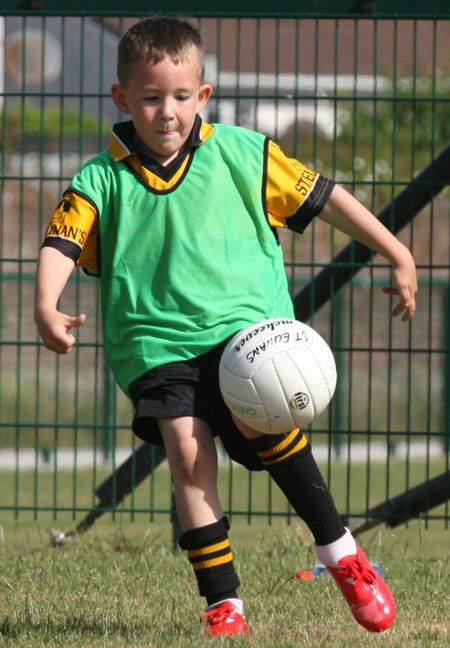 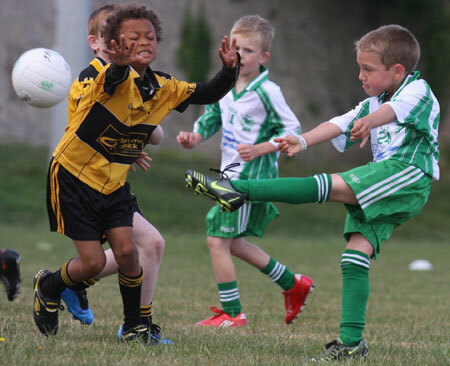 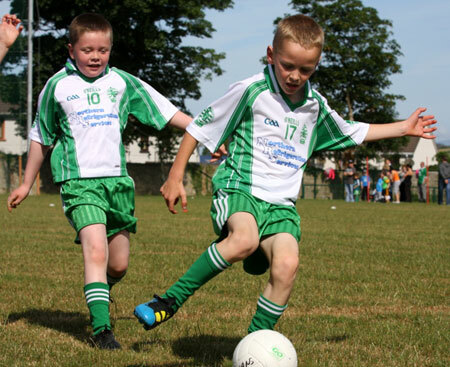 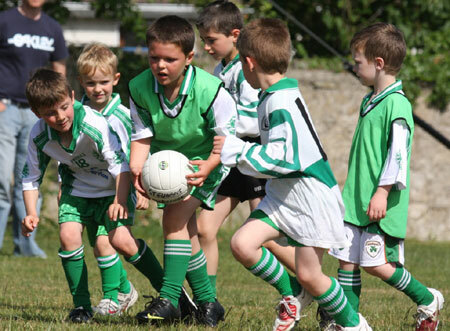 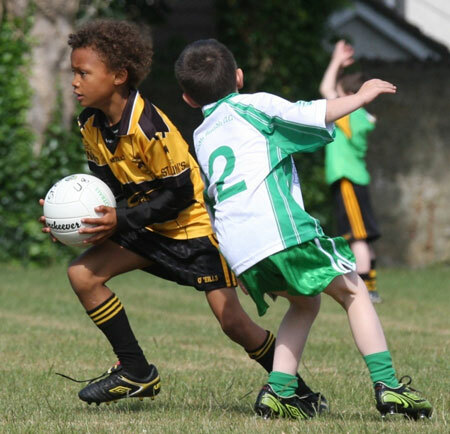 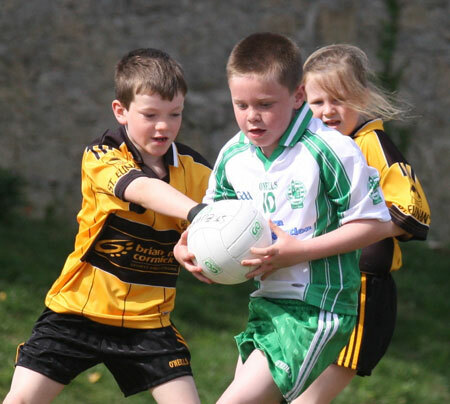 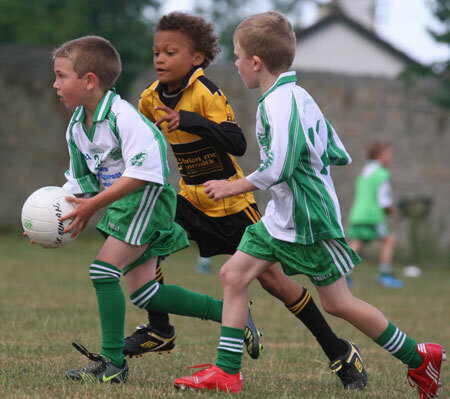 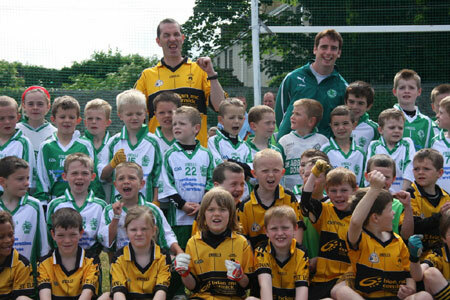 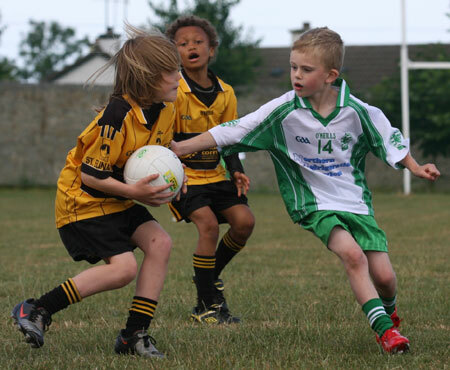 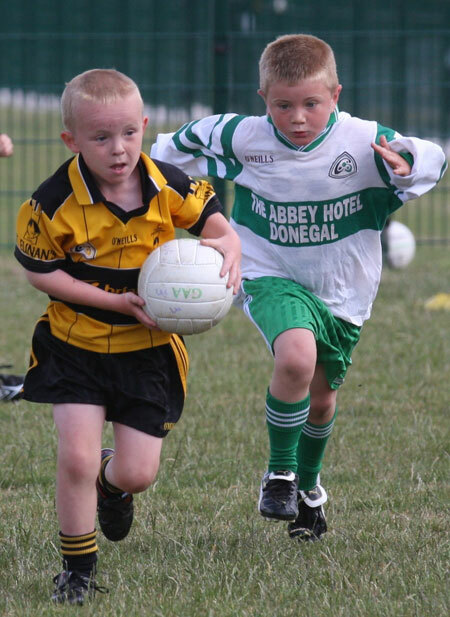 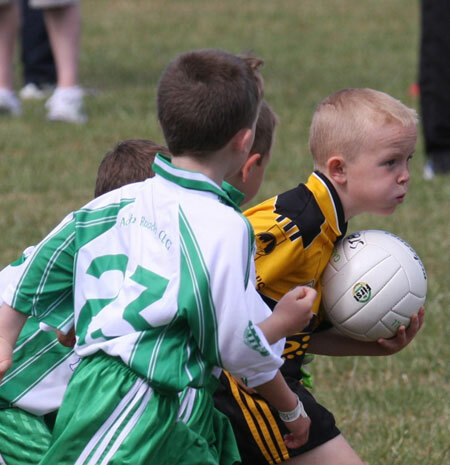 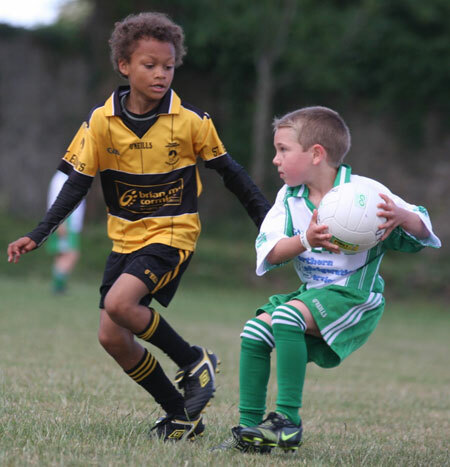 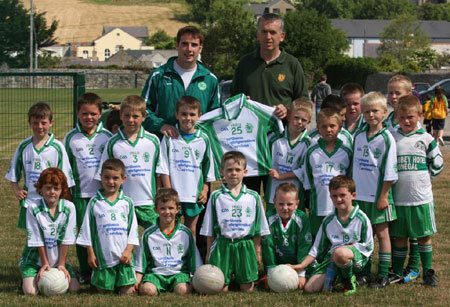 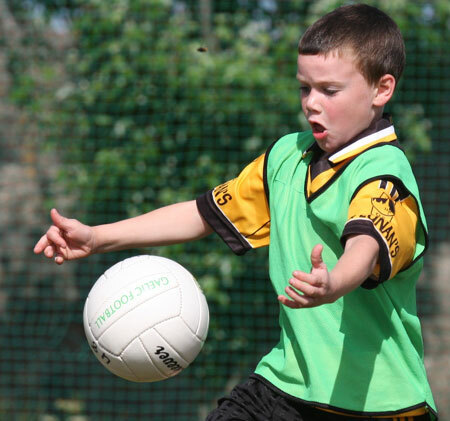 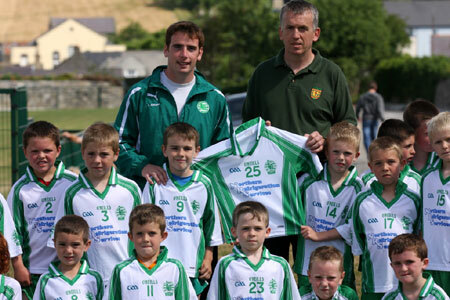 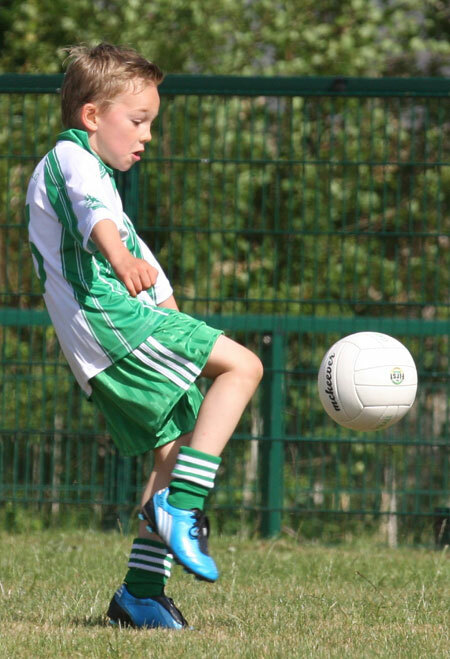 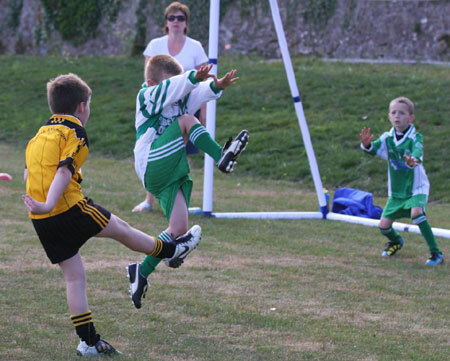 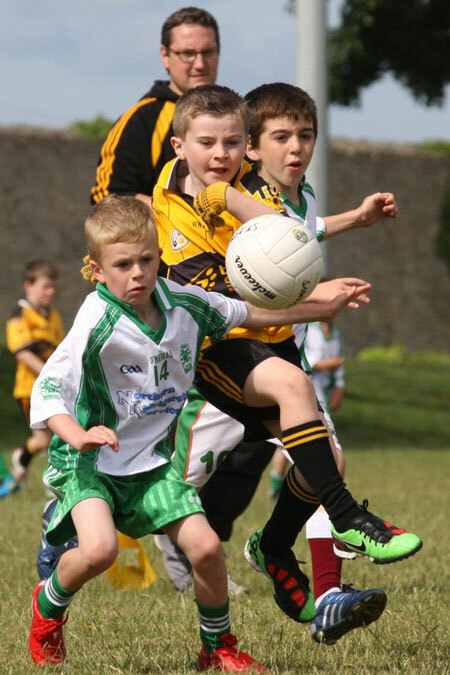 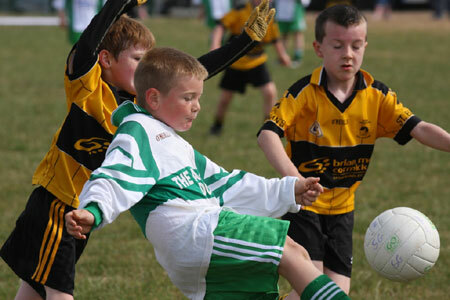 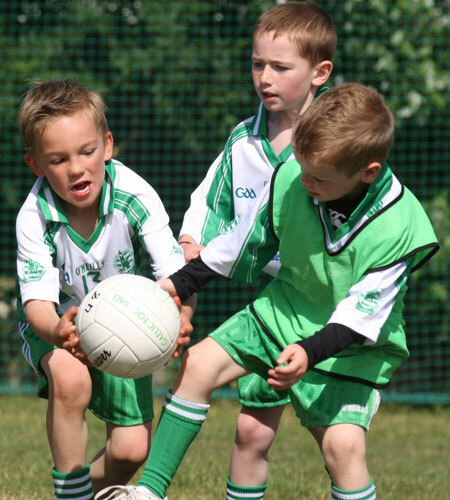 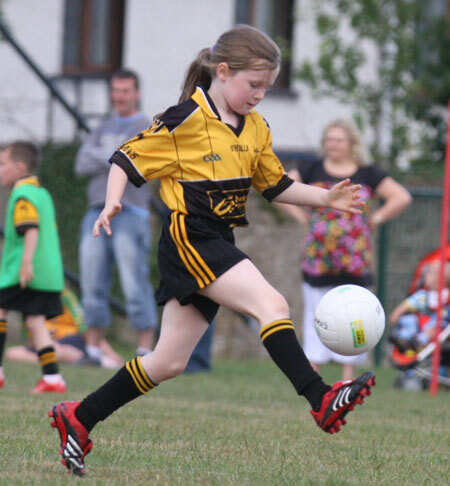 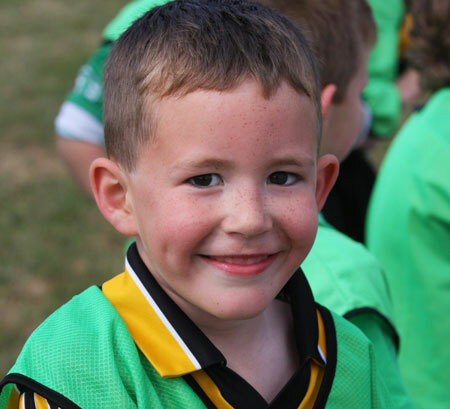 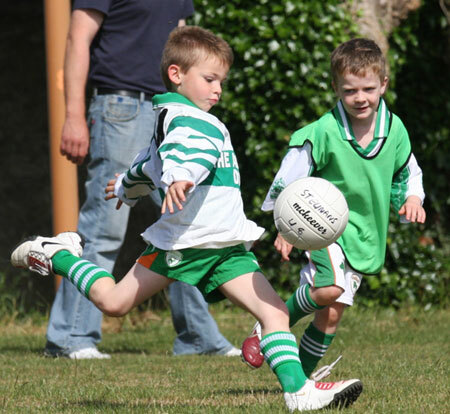 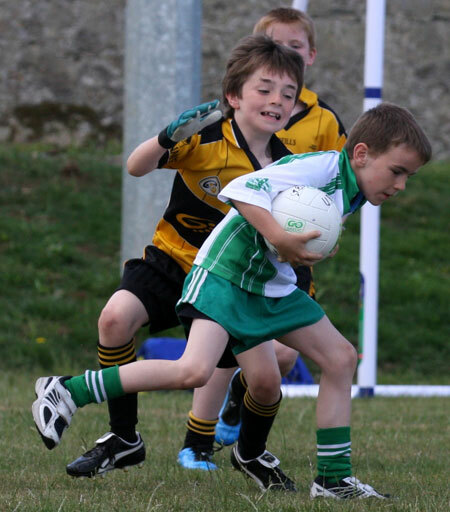 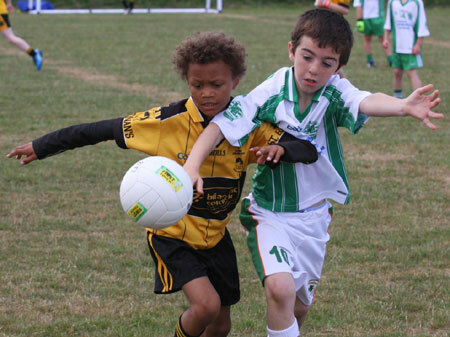 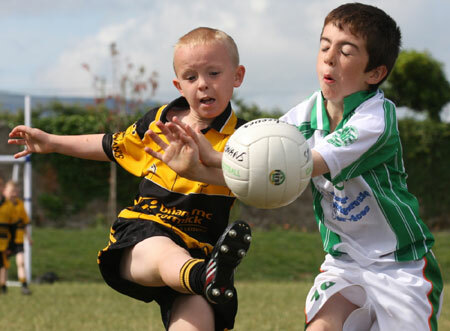 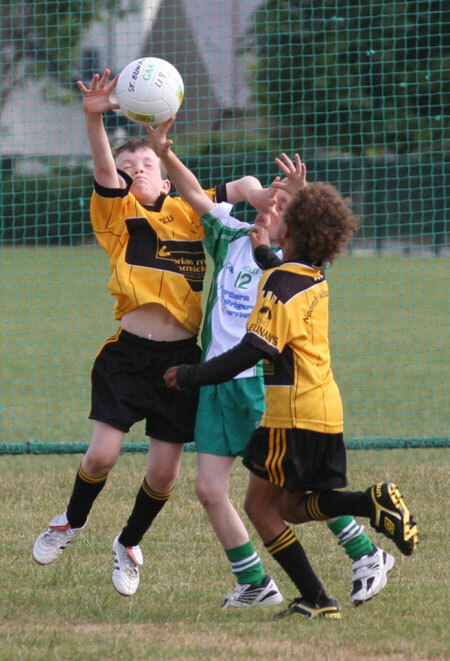 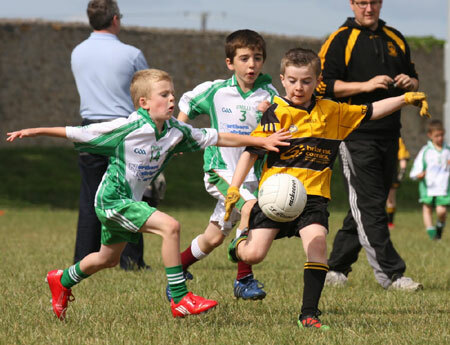 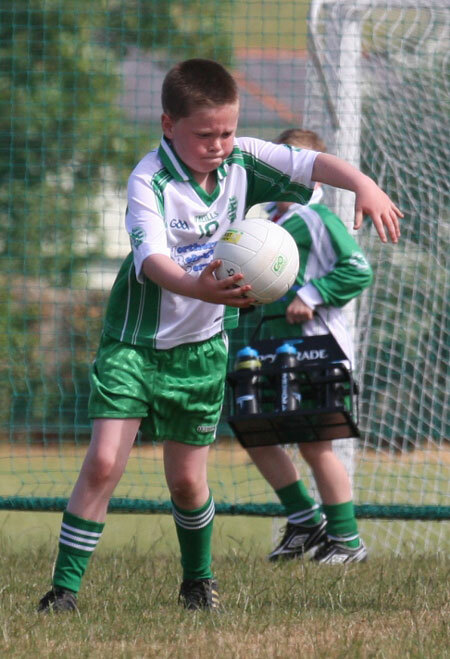 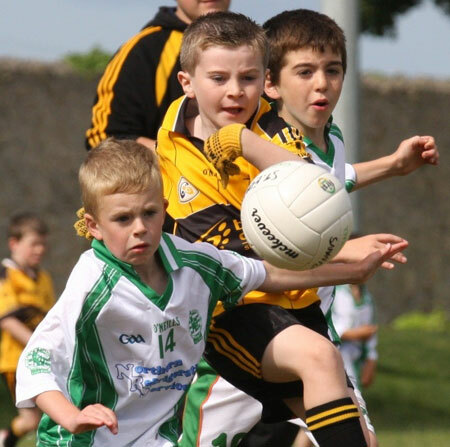 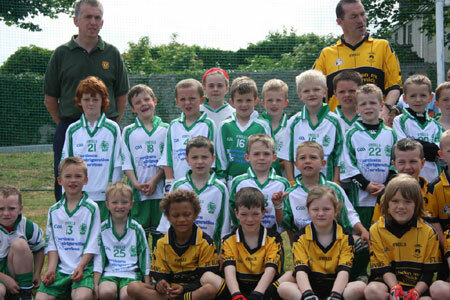 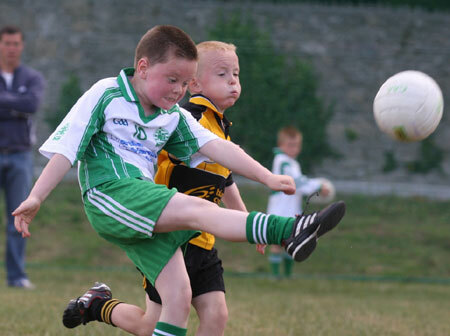 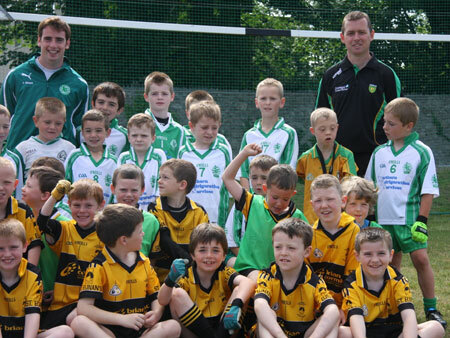 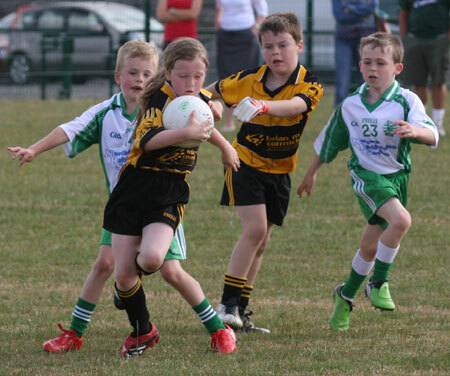 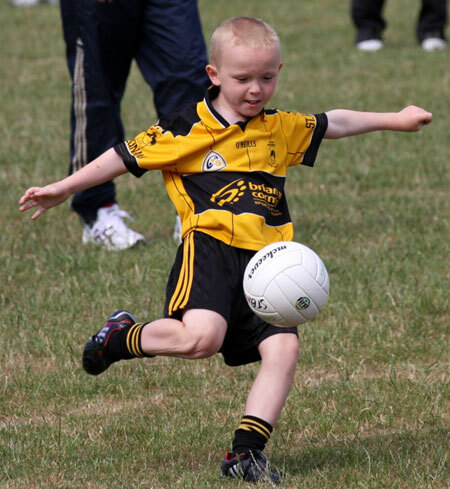 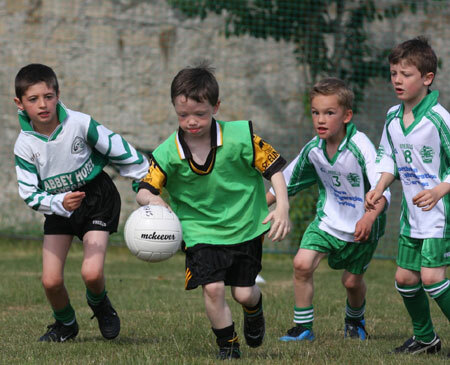 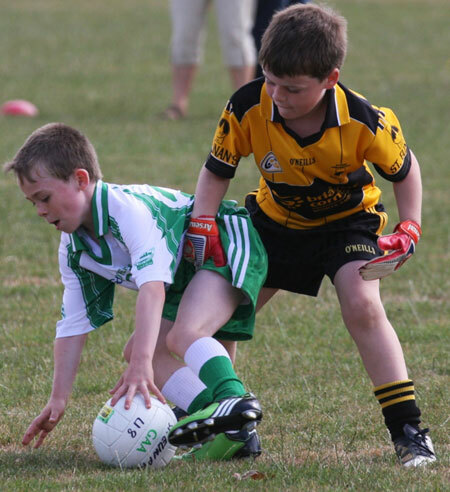 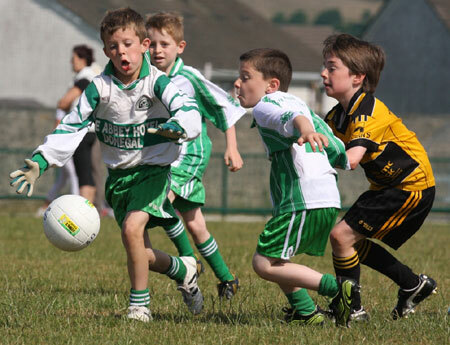 Last Saturday, 26 June, our under 8s competed in a blitz against Saint Eunan's Letterkenny in P�irc Aoidh Ruaidh. 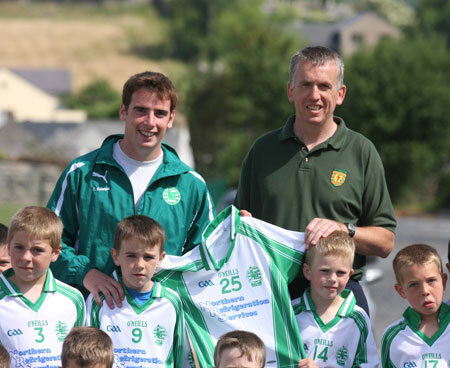 It was a great occasion with over 30 Aodh Ruadh players getting to play in the blitz. 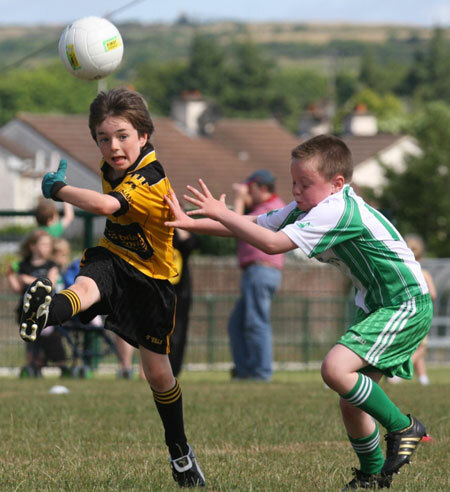 All matches were very close with the Saint Eunan's boys and girls showing some great skill and determination after the long journey from O'Donnell Park. 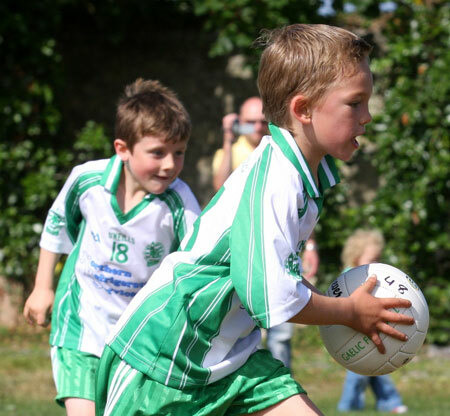 There were stars all over the field in green and white however, and the practice and hard work of the boys was on show for everyone to see. 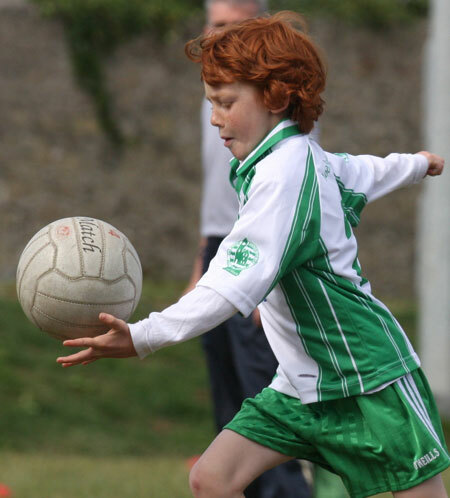 In our first game Cian Rooney showed why people are already comparing him to a young Paul Finlay with some superb scores and passes. 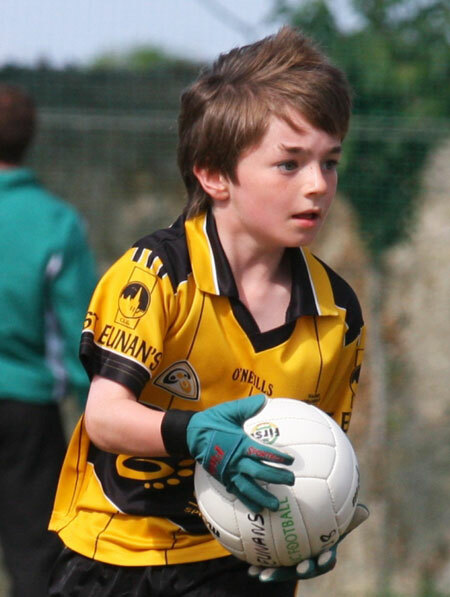 Jake Foley put in a great hours work not only as tough tackling defender but as a excellent shot stopping goalie while Gavin Timoney has proved to be the find of the year with some great long distance scores. 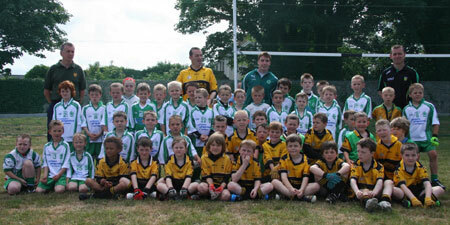 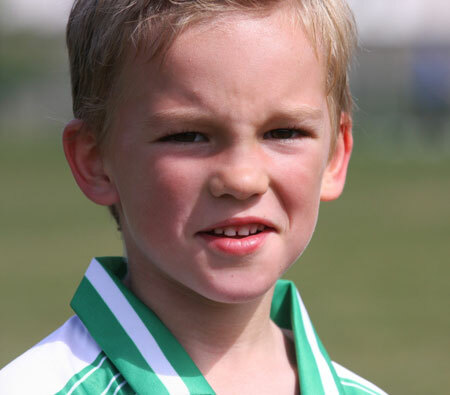 Great credit also to all the parents, coaches and referees who ensured the smooth running of the event. 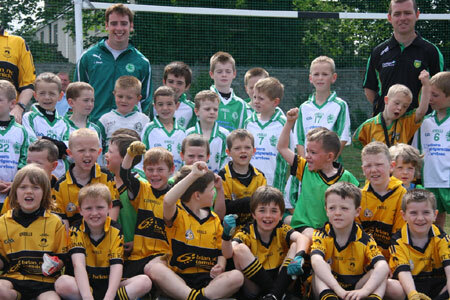 Afterwards it was up to the club house for a lovely feed of sandwiches, fruit, crisps and buns. 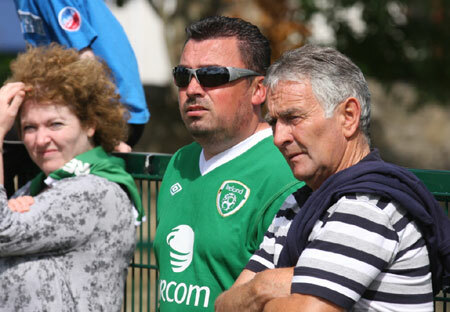 Many thanks to all the parents and Pat Malaniff for providing the food. 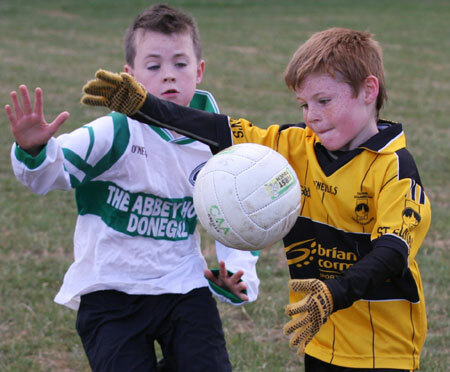 © Copyright 2005-2019 Aodh Ruadh CLG, Ballyshannon, County Donegal.